Featured! Squier Home | About Us | Opportunities | Sponsorships | Contact Us! 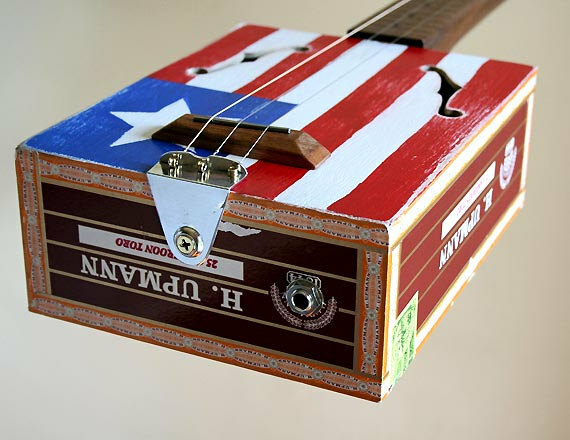 Today on Handmade Men we chat with Michael from Squier Design to learn more about the amazing handmade cigar box guitars, amp and fine reclaimed wood accessories he designs. Squier is one of those shops that people come back to over and over again to see new pieces being added and to marvel at the unique designs that show up in every piece in stock. If you’re a fan of music, instruments or design that works with the most masculine of elements, you’re going to love what’s happening here! I am a designer by trade. 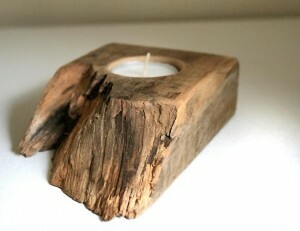 I love woodworking and other creative outlets. 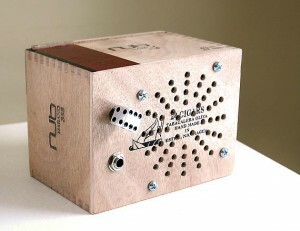 My music talents are lacking so by building my guitars, it’s my way of adding to the world of music. What got you started working with cigar boxes? The look and style is so unique! I have been woodworking since I was a child. I became interested in the cigar box guitar after seeing pictures of antique cigar box guitars. From there, I created my own and was pleased with how well they worked. The sound is excellent, it’s all about the sound. Reclamation art is a popular trend these days. 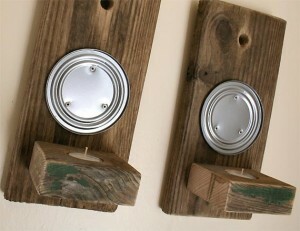 What about upcycled and recycled materials do you think men (and people in general) find so appealing? For me, it’s more about recreating something old. I like the look and feel of old things and to get that feel you must use reclaimed stuff in your work. Cigar Box Guitars - These are my favorites. They are recycled boxes and a neck hand carved from black walnut, a tree that once stood in my Dad’s backyard. 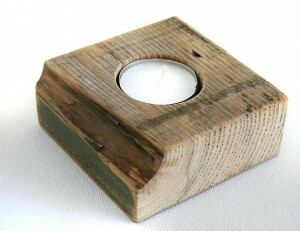 I make them in my shop using mainly antique hand tools passed down to me from family and friends. Candle Holders - I love these. They are as simple as you can get. Old weathered reclaimed wood and a proper hole. 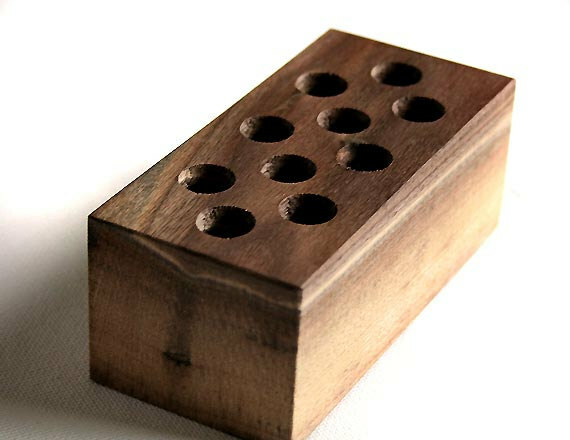 Pen Holders - Great for organizing your desk. 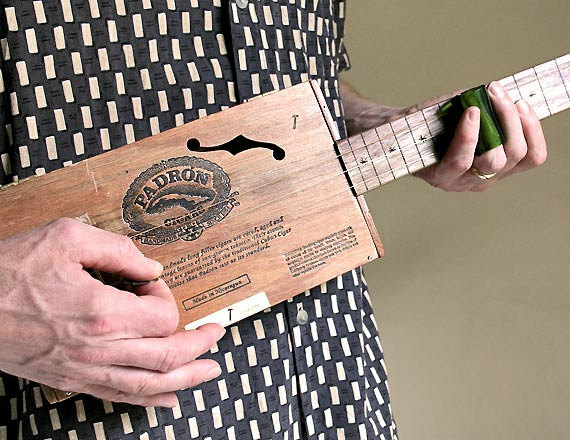 They’re made from the black walnut scraps leftover from creating the cigar box guitar necks. 1. Men love unique quality stuff. Sure, we love our techie gadgets, but simple handmade items are always appreciated over mass produced products. 2. 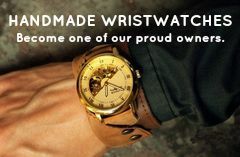 Guys should support handmade to keep alive the fine craftsmanship and traditions for future generations. 3. Because it will make you feel good to buy unique one of a kind reclaimed cool items for us guys. Thank you so much for taking time to chat with us! Use the links below to connect with Squier Art & Design online, and make sure to leave a comment below letting us know which pieces you liked most! Tagged Art, Design, etsy, Handmade Amp, Handmade Guitar, Michael Squier, Squier. Bookmark the permalink.